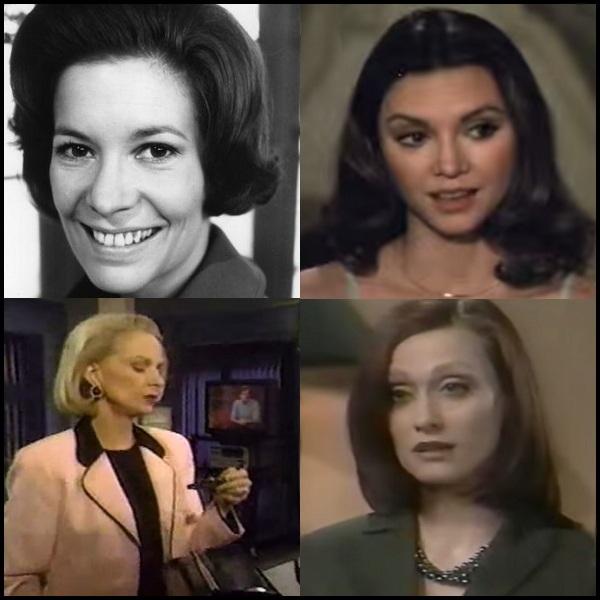 1973: Nancy Pinkerton debuted as Dorian Lord on One Life to Live. 1978: Dallas' Pam revealed her pregnancy but later lost the baby. 1996: All My Children's Marian played a revealing tape to hurt Tad. 2001: General Hospital's Skye announced she was a Quartermaine. 1968: On Dark Shadows, Jeff (Roger Davis) dozed off in a chair in the living room of the Evans Cottage and had almost the same dream that Maggie (Kathryn Leigh Scott) had earlier, except when he opened the door of the cottage, he found Dr. Lang (Addison Powell) there beckoning him. He followed him and, like Maggie, was locked in the room with many doors. He heard Lang's voice recite the same poem. He heard Josette's music coming from behind a door and opened it and found a green death's head, as did Maggie. He closed the door. The music started to come from behind a different door. He opened it and found a guillotine in the door frame. The blade fell loudly which awakened a terrified Jeff. 1973: The character of Dr. Dorian Lord debuted on One Life to Live played by Nancy Pinkerton. 1976: Another World, Pat (Beverly Penberthy) told Sharlene (Laurie Heineman) secrets could destroy even the best marriage. 1978: CBS aired the fifth and final part of its five-part Dallas mini-series. In the episode, Pam (Victoria Principal) learned she was pregnant but later lost the baby after falling out of the hayloft during a confrontation with J.R. (Larry Hagman). Dallas was picked up as a regular series for the fall. 1980: Jean Bruce Scott debuted as Jessica Blake in Days of our Lives. 1981: Robert Alda made his first appearance as Stuart Whyland in Days of our Lives. 1984: On Guiding Light, Lujack (Vincent Irizarry) shared his fears with Beth (Judi Evans). 1985: David Haskell debuted as Nick Hartley on Santa Barbara. 1987: On Knots Landing, Ben Gibson (Doug Sheehan, in his final appearance) left for South America. Also in the episode, Laura (Constance McCashin) gave birth to a baby girl - 8lbs, 3 ozs. 1989: Jet Magazine featured a Generations cover with cast members Kristoff St. Johnn, Jonelle Allen, Lynn Hamilton, Taurean Blacque, Joan Pringle and Sharon Brown. 1990: On Santa Barbara, Cruz Castillo (A Martinez) arrived on the island much to the delight of Kirk Cranston (Joseph Bottoms). Kirk captured Cruz, who escaped and made a run for it with Nikki Alvarez (Constance Marie) and Michael Donnelly (Frank Runyeon). 1996: On All My Children, Marian Colby (Jennifer Bassey) played cassette tape during Tad Martin's (Michael E. Knight) live interview with Dr. Joe Martin (Ray MacDonnell) that revealed his affair with Liza Colby (Marcy Walker). 1999: On Another World, Paulina Carlino (Judi Evans) confessed to killing Grant Harrison. Another World debuted a next-day preview at the end of the episode. 2001: On General Hospital, Rae admits to Alan and Monica that Skye was Alan's daughter. "I'm Skye, and I'm a Quartermaine," Skye announced before asking, "Isn't anybody going to welcome me into the family?" 2004: On EastEnders, Laura (Hannah Waterman) fell down the stairs to her death. 2007: As the World Turns debuted a new opening theme sequence.